FindItMore | Salvaged cars have a special significance to numerous businesses. Some people purchase them to extract the valuable spare parts while others wish to recycle the useful metal and there are yet others who would like to rebuild the car and then sell it. If you are aspiring to start a business of flipping salvaged cars, you must necessarily follow the steps discussed below. For successfully obtaining such a license, you would be asked to furnish some personal details including your name, postal address, residence etc. The licenses are issued by the motor vehicles department but are actually issued as per existing state laws and regulations. If you are fortunate to have a good credit record in the past, you would be encountering absolutely no problems in getting a business loan that is just right for your project. Moreover, it could be really great if you have a reasonable amount of savings in your bank. You could fall back on it and this is a better and safer way of starting your business with your own money. 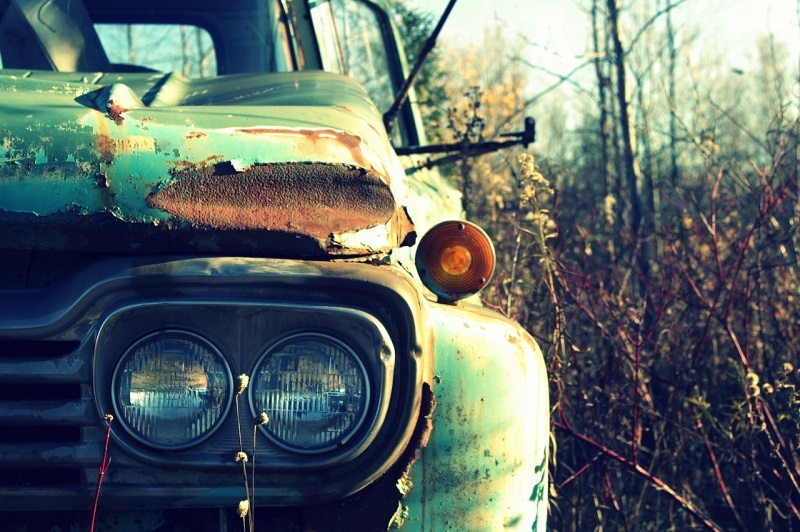 Another good way of raising capital for your salvaged vehicle business is to contact investors. You could ask your friend to invest in your business and work out a fair deal. Alternatively, you could approach trustworthy business people who belong to your locality and may have some interest in your kind of business. The most common way of raising capital for starting your business is by putting in a business loan request to your bank. You must prepare a perfect business proposal before approaching the bank or any other traditional financial institutions. A good and clear-cut business plan could be boosting your chances of obtaining funding at the right time. You need to buy a proper piece of land to carry out all business operations here. If you have a good budget, you could buy a land with office blocks on it. This is bound to be slightly on the costlier side simply because a developed property would naturally be more expensive. It could be a wise idea to buy an empty plot and later on put up your own buildings. You need to make certain modifications to your yard before starting the operations and before you bring the fleet of salvaged cars to the yard. You need to build offices and if you wish to keep the budget low, you may opt for container offices that could be fitted with appropriate amenities just like those associated with a permanent structure. You need to protect your stuff from burglars so consider putting up a perimeter fence. For fortifying the security, you could consider using an electric fence. Go about erecting motion sensors and cameras along the fence and in the yard. Consider hiring the services of watchdogs and night guards for beefing up the security at the salvage yard. Once your yard seems safe enough, you must consider buying some salvage cars. You could come across many auctions that put up salvaged cars for sale. Auctions dealing with these junk cars offer excellent prices as they would be using a bidding process for arriving at the ultimate selling price. You may alternatively, purchase at car sales. There could be times when certain companies sell off damaged or very old cars that have not been in use for a long time. You may even consider getting in touch with insurance companies as they come across several salvage vehicles in their trade and they often organize to sell these cars off. You may read the newspapers and find advertisements offering salvage vehicles. However, today the best option is to browse the Internet. Several online businesses would be welcoming bids for various salvage vehicles. Once you have inaugurated your business, consider getting involved in active promotion and marketing. Ask your clients to recommend your services to their friends and family. Request them to write reviews online. Advertise your services on a billboard that is put upon the road nearest to your salvage yard. Insert advertisements in newspapers. Leverage the power of the social media platforms and the Internet in general, to boost your business and increase your bottom line.